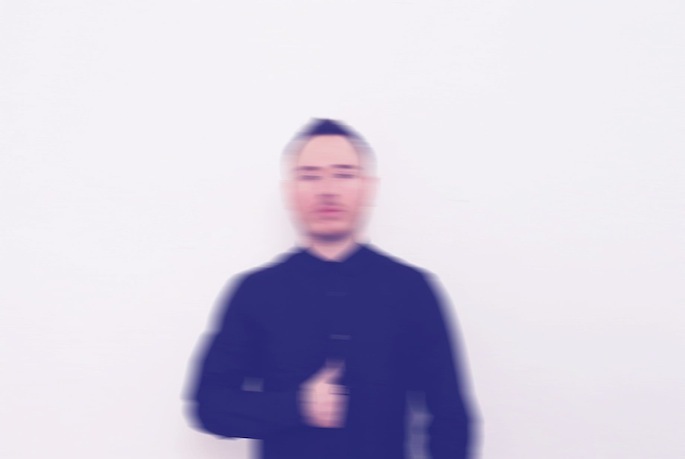 After five years as a go-to remixer for the likes of Bat for Lashes, Santigold, and Lily Allen, London’s Duke Dumont has spent the last year re-establishing himself as a producer of pristine, straight-ahead house music. In 2012, Dumont (real name Adam Dyment) released a pair of EPs on Tiga’s Turbo Recordings imprint entitled For Club Play Only. The titles are instructive: from the hypnotic ‘Street Walker’ to the acidic ‘Thunder Clap’ to the ear-worming ‘The Giver’, Dumont proved himself an adroit composer of the type of throwback, 90s-referencing house music that is so in vogue right now. The finest example of this is his latest single, ‘Need U (100%)’: a four-on-the-floor ‘Billie Jean’ groove, sinewy synth stabs, and the saccharine vocals of BBC Sound of 2013 long-lister A*M*E make for an impossibly catchy anthem. FACT Skyped with Dumont about his musical evolution, the differences between UK and US dance music, and his plans for 2013. You first emerged in 2007, but the majority of your releases, until last year, were remixes. What changed for you? I knew at the start of 2012 that I had to do more original music. In total, I did 25 remixes in five years, which is quite a lot. I knew it was more worth my while to concentrate on original music. In a strange way, it’s actually easier to make original music than to do remixes, because you’re quite limited with a remix and forced to be creative. It’s a great education on the production level, but I knew in order to sustain a career, I needed to concentrate on my own stuff. What was your approach for making the most out of remixes? With every remix I’ve ever accepted, there’s always one element which I like and I’ll try to draw that out and make the most of. For example, I did a remix for Joakim’s Yes Wizard alias and I just went to town on this small synth part. The best advice I could give is to do remixes, because working with limitations can be really good when you’re working with your own stuff. There are too many options nowadays with software, so sometimes it’s good to really narrow it down. In the 80s, guys would just have one synthesizer and use it to its absolute maximum capabilities; now, any producer has 30 synths on their computer. Remixes teach you to use limited ingredients. I don’t think kids realize how lucky they are, that they can just turn on the Internet and instantaneously get any song that pops into their head. It’s like watching Back to the Future 2. Growing up, how did you get into dance music? My father is a part-time record dealer, and he’s got thousands and thousands of records. I don’t think kids realize how lucky they are, that they can just turn on the Internet and instantaneously get any song that pops into their head. It’s like watching Back to the Future 2. If you told me that 15, 20 years ago, I’d be overwhelmed, but now we’re kind of spoiled. My dad having a large record collection is almost like that: I had access to a lot of music that most people didn’t have. I was always drawn to soul music, Motown, and Stax. As far as making music, I started during the UK garage era when I was about 15 years old, and the DJs I was into at that time were spinning Chicago house music. My taste migrated more to the Chicago based stuff because it tended to have a bit more soul to it. UK garage was very rigid: a lot of guys ripping off Todd Edwards. The stuff coming out of the US at that time was really my baptism into club music. The stuff coming out of [Chicago] at that time was really my baptism into club music. All you have to do now is switch on Boiler Room and see any UK DJ, and we’re all the same [in that way]: everybody went through that process of being inspired by Chicago jacking sounds and now we’re repackaging it back to the US, in a way. Ironically, most US DJs are concentrating on the EDM fad and aren’t giving credit to the history of dance music, it’s quite sad. A lot of the UK kids are giving it back to America and trying to keep it going, whereas EDM has whitewashed the history and foundations of dance music. On the flipside of EDM, in the US you have an artist like Matthew Dear, or Ghostly International, which is one of the best labels of the last ten years. With EDM, it’s such big business that guys at the independent level aren’t prepared to cross the Rubicon to enter that territory and take on the EDM guys, and that’s why they get more attention. It’s different in the UK at the moment, because house music gets played on Radio 1 during the day, which is really nice. I think in the US it’s slightly different right now. How did ‘Need U (100%)’ come together? I finished the instrumental and it needed another dynamic, both to complete the song and to give it a chance amongst the music that’s out there. My two options were chopping up an acapella and risking a problem (which has happened), or working with a vocalist, which is something I haven’t really done, but I thought it would work well. Rather than using a couple bars like I would on a club track, I went with a more stereotypical structure. We’re starting to see more producers get back to working with vocalists instead of ripping acapellas. Why is that? I think starting as a producer who works out of a room in my house — which I still do — you’re very limited when it comes to vocalist; it’s not a world that’s open to most producers. If you’re in a position to work with good vocalists, you should go down that route. I put my hand up; I’ve sampled acapellas, I’ve been there and done that purely because I didn’t have access to vocalists. But now, I’m in a good position where I can record with vocalists, so I’m going to continue to do both. What do you have in the works for 2013? I’m going to concentrate on individual songs. If an album happens by the end of the year, it happens, but I’m thinking of it as a track by track process. My favorite albums are that quite organic and work as a whole, or they have a narrative or a progression to it. I think for a lot of dance music albums that’s really hard to do. My sense of ambition isn’t as much about wanting to take over the world, I just want to record music to the best of my ability. I’ve recorded with [London artist] MNEK, which I’m happy with, and I’m not often happy with anything [at first]. I’m happy with it because it’s one of the best performances I’ve seen, and it’s basically just a drum track and him performing on it. I’ve recorded about four tracks with him and I’ll pick the best one and release that next. I’m slightly older than some of these guys, I’m not 18 or 21. My sense of ambition isn’t as much about wanting to take over the world, I just want to record music to the best of my ability. So the next record might not necessarily be seen as a Top 40 track and it might go against that grain. I don’t want the next record to sound like ‘Need U’. It’s easy to get pigeonholed, either by fans or by labels. That’s the beauty of how I’ve tried to do my business. I’m not signed to a label. I’ve started my label, Blasé Boys Club, and I sub-license it to a label that has the mechanics to push it as hard as they can. But at absolutely no stage is there creative control by anyone else. I’ve been around the block long enough to recognize how the business works. I’m happy DJing every week and releasing club music and whatever happens, happens. I’m grateful for any kind of extra exposure I get but I’m going to keep doing what I’m doing, and just push it as hard as I can. What are your plans for your label? I’m going to release the next record by Waze & Odyssey on my label. I’m producing for up-and-coming singers, and I’ve kind of turned my back on established pop acts, because I think I can be a little more experimental. There’s a history of UK labels releasing house music and then coming out with bands. XL started with Basement Jaxx and then 15 years later they released Adele; Factory Records did that as well. I take that as inspiration for Blasé Boys Club: I just want to release music that is slightly against the grain. It’ll be an interesting year.